(Central Islip, N.Y., Feb. 13, 2017) – The three-time Atlantic League champion Long Island Ducks today announced the signing of shortstop Dan Lyons. He begins his seventh season with the Ducks and 11th in professional baseball. Lyons has spent each of the past six seasons with the Ducks. In 2016, he played in 102 games and batted .272 with seven home runs, 49 RBI, 58 runs, 26 doubles and four triples. The 32-year-old was selected to play in his second consecutive Atlantic League All-Star Game (third overall), and he collected both a single and a walk during the game. Defensively, Lyons was tied for the best fielding percentage among qualifying shortstops at .972. In 2015, the Minnesota native was selected to the Atlantic League’s Post-Season All-Star Team and inaugural Red, White and Blue All-Defensive Team. He was also named the league’s first-ever Rawlings Gold Glove Defensive Player of the Year. That year, he ranked among the top five in batting average (.301), RBI (73), runs (74), triples (7), extra-base hits (46), total bases (215), on-base percentage (.375) and slugging percentage (.462). In addition, he compiled the highest fielding percentage (.976) and second-most assists (355) and putouts (183) among all shortstops (min. 100 games). 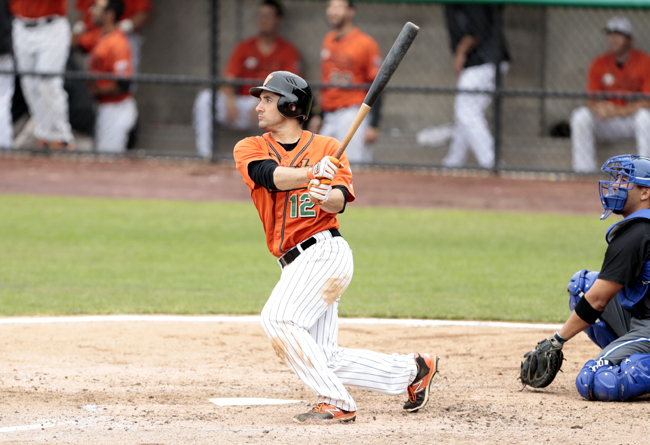 The University of Minnesota alum helped the Ducks win back-to-back Atlantic League championships in 2012 and 2013 and has led Long Island to four Atlantic League Championship Series appearances. He was named the Championship Series MVP in 2012 after collecting two game-winning hits, including a walk-off bunt single in the decisive Game Five. In six seasons with the club, he has totaled a .263 batting average, 597 hits, 282 RBI, 337 runs, 32 triples, an .835 stolen base percentage and a .968 fielding percentage over 673 games. Lyons was originally drafted by the Washington Nationals in 14th round of the 2007 amateur draft.